Are you thinking of purchasing a car? Getting a car loan is the first step. Read here to see our guide to comparing car loan interest rates. Whether you are a new driver or an experienced one, taking a car loan out can be a difficult process. There are many factors that can have an effect on the interest rates attached to car loans. Do you want to buy new or used? Are you trying to refinance? What about trading in? How are you supposed to know where to even begin looking? As always, it is important to read the fine print before fully making a choice. There's already $1.2 trillion dollars of car loan debt out there, and you shouldn't want to add to that! There are three things to consider when looking at a car loan, specifically about interest rates. APR, the length of the loan, and the total amount of the loan all play a role in shaping car loan interest rates. APR stands for annual percentage rate. These rates change daily and can produce long-term savings depending on how low the rate is. As the name states, it is the annual percentage rate. This is the interest rate for the entire year, which makes it an important factor to consider! 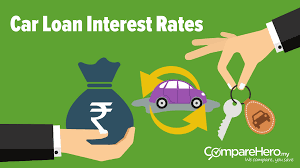 APR also has a huge factor on car loan interest rates, as it also depends on two other factors to reach the total overall cost. This goes hand-in-hand with factoring APR into the total cost of the car loan interest rates. You need to know how long you're going to have to pay off the loan. A shorter term means higher monthly payments, yet less overall money paid. While the term length also can have an effect on your interest rate, be careful of long-term lengths. If you decide to try and trade in or sell the car early, the price you get may not be able to cover what you still owe. That's one of the reasons that you need to be careful when searching for car loans! Of course, the other main factor in car loan interest rates is the actual loan amount. How much you owe on the loan can have a factor in how much you pay per month, plus how long your payments are. Before heading into a dealership, make sure you do your research first! Comparing will help you find the best deal and make you well-equipped to find what is best for you. We're all for comparing various topics, and making sure you make informed financial decisions! On top of making an informed decision comes the process of shopping around. There are a ton of places to look in regards to finding the best deal in car loan interest rates. Where are you supposed to even begin? Well, we're here to help with that. At Moneybrag.com, we understand that consumers want the simplest method to making an important financial choice. Here's how it works. Car loan interest rates are complicated, but we're here to make it easier. Check out our car loans page to get a quick, easy-to-read look on what you could be saving on car loan interest rates!